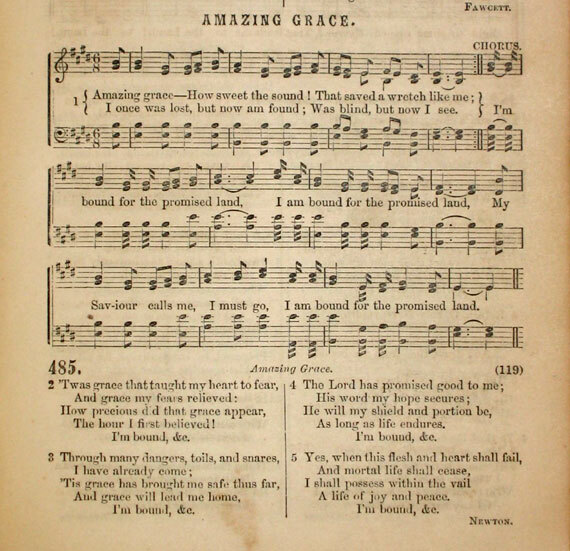 In his Devotional Hymn and Tune Book, 1864, William Bradbury set "Amazing Grace" to this triple-meter tune that is most certainly of campmeeting origins with the ubiquitous "I'm bound for the promised land" chorus that could be appended to any common- meter text. campmeeting tune in triple meter (with the chorus "O that will be joyful.") and calls it AMAZING GRACE. 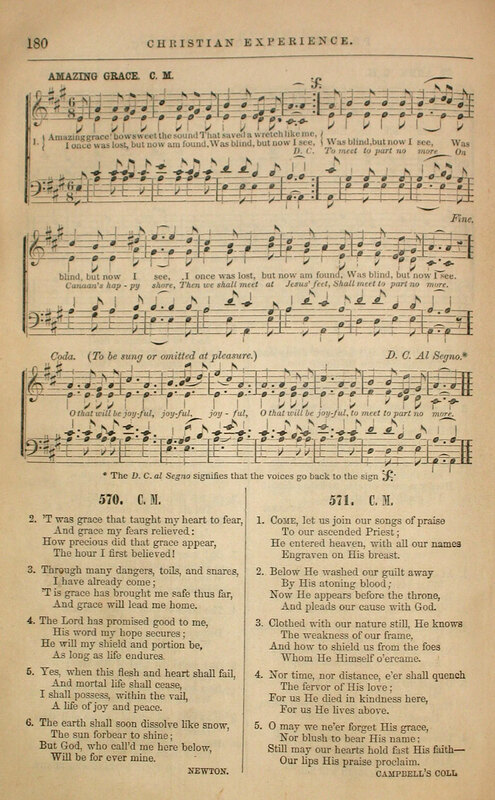 The same tune with a different common meter text but the same chorus appears in Harmonia Sacra (1869) and is called PARTING HYMN.